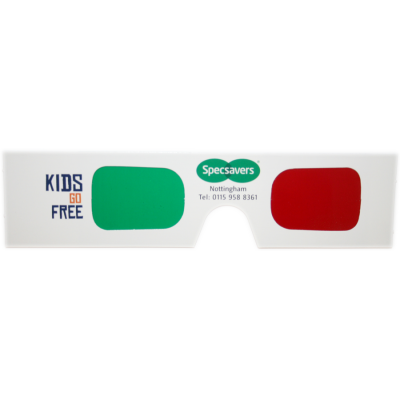 Kids Eat Free - Our standard hand held viewer with anaglyph red/green lenses were used for a United Kingdom promotion for an optical company. 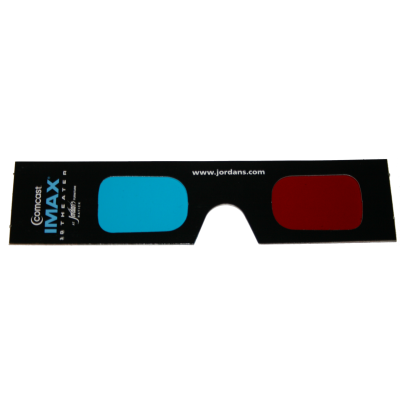 Comcast Example - Our standard hand held viewer with anaglyph red/cyan lenses were used for a Comcast promotion. 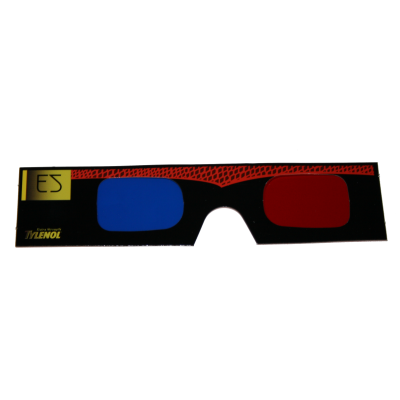 Tylenol Example - Our standard hand held viewer with anaglyph red/blue lenses were used for a Tylenol promotion.